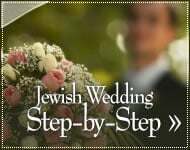 Inspiring stories, old and new, about Jewish weddings and marriage. The warmth and the songs uplifted Marilyn in a way she hadn’t expected, creating a sense of openness inside her to whatever destiny had to offer. 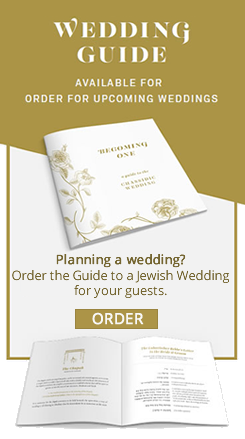 The Baal Shem Tov passed his handkerchief over the boy's face and commanded, "Give us a word of Torah..."
Just as they had celebrated their marriage with joy, Rabbi Shimon bar Yochai told the couple, so should their divorce be celebrated in joy. The doctor may have been taken aback... But actually, he wasn't mistaken. Poor brides lacking the requisite necklace had been known to weep for shame on their wedding days; some even ran away so as to avoid the embarrassment.